Twice a day I open my bag of Just Right by Purina and and Purina One to feed One Eyed Jack and my other dogs. 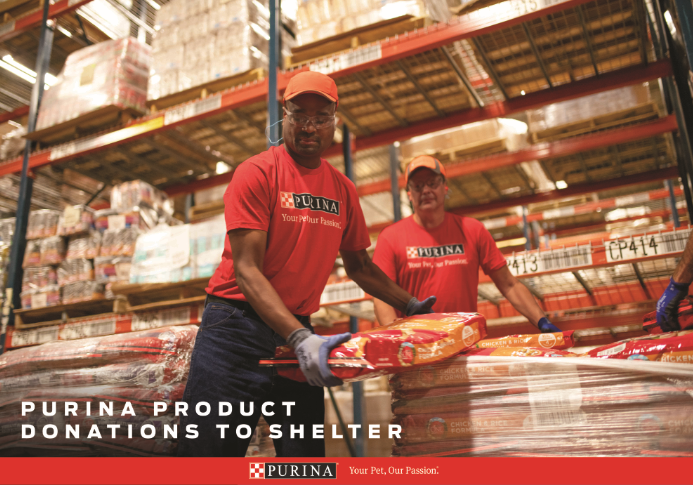 Because I have been blessed to be to Purina’s headquarters and to work closely with their team, asking any and all questions, I feel total confidence in feeding these products to my dogs. But I will admit, one piece was always missing. The tour of the manufacturing plant where I could see for my own eyes how my dog’s foods are made. I never thought I would get to be inside one because Purina, as with most manufacturers, does not allow the public into their plants. It makes sense, really. With proprietary equipment that they make and service themselves, allowing just anyone in could be a major issue. 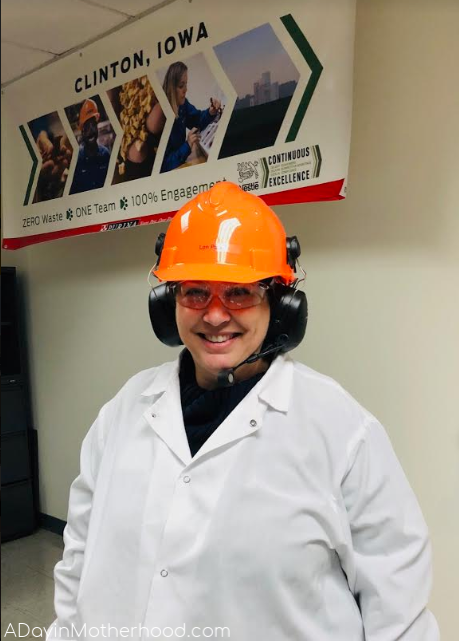 So when I got the email to join them for their first ever media tour of their manufacturing plant in Clinton, Iowa, I jumped on it! As many of you know, I am am AVID dog lover. 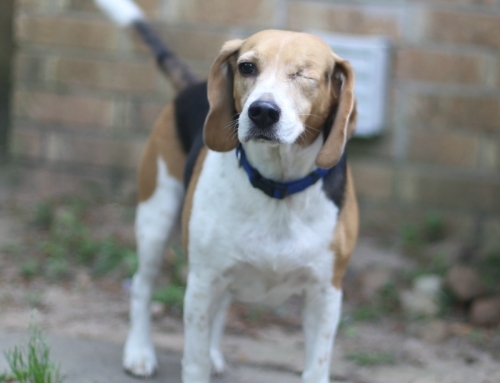 I have three of my own and I foster beagles as well, having adopted out 21 dogs since August of 2017. I care deeply about what I feed them and, being active in so many dog loving groups, know that you care too. 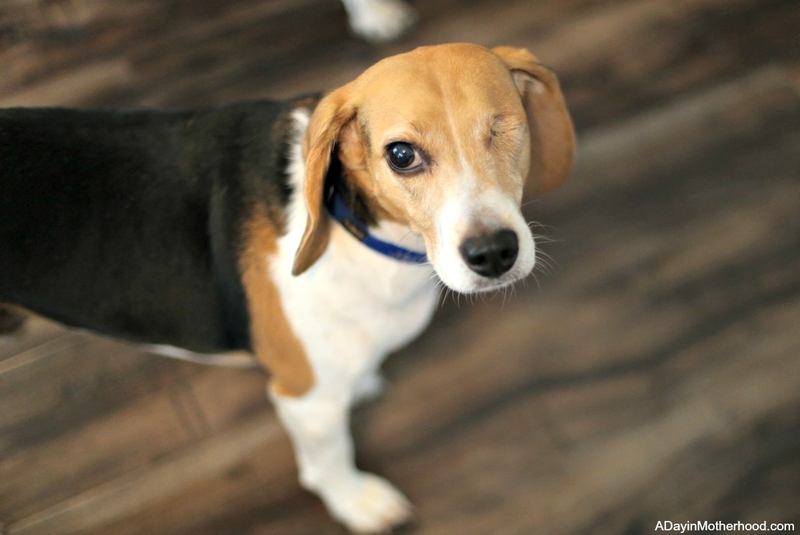 We ALL want the best for our pets and there is a passionate need out there for complete transparency on how ingredients turn into food for our dogs and cats. 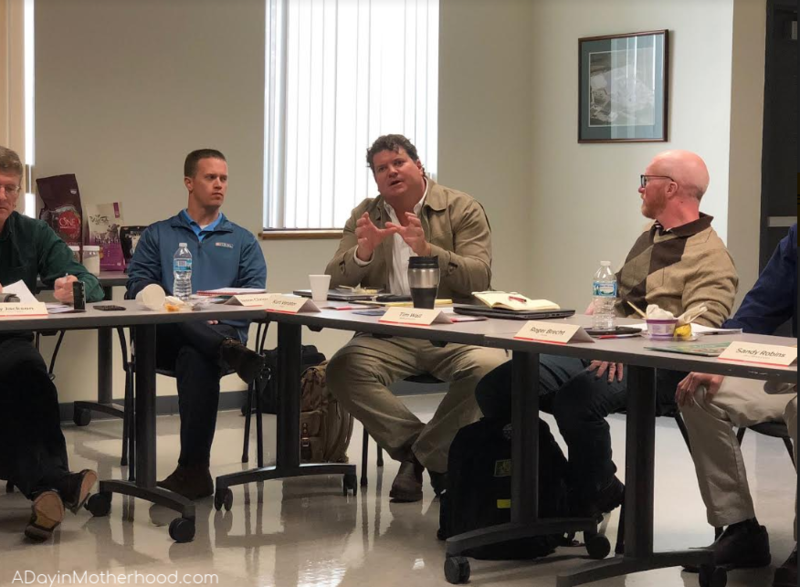 As I sat down in the conference room surrounded by other pet centered media outlet reporters, Purina employees, scientists and even a supplier – Keith from Alaskan Leader Seafood – I felt a little out of place. I am just a blogger with a love for animals. 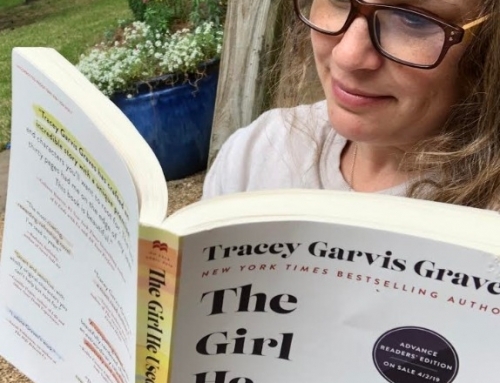 Turns out, I was in the perfect place to be able to report back to you on what I learned as a real consumer. I’ll be honest, I don’t think of ‘science’ when I think of pet food. I think ‘ingredients, quality, benefits’. It never really dawned on me how much science actually goes behind ever aspect of Purina’s process and foods. 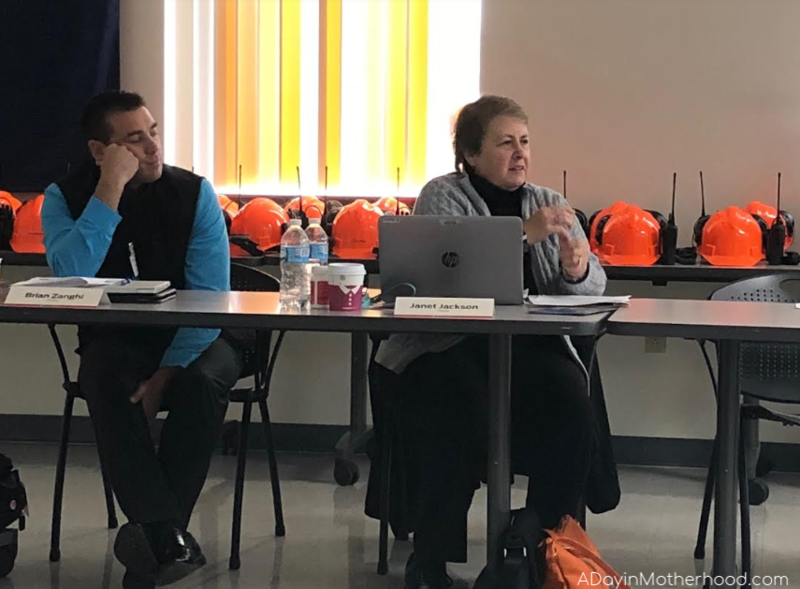 Dr. Janet Jackson, the Vice President & Director of Research at Purina, leads scientists in the fields of nutrition, biochemistry, microbiology, and immunology. The goal is to work on nutritional innovations that enhance the health of pets so they can live long, healthy and happy lives. We heard about intense studies into nutrition, balanced meals and ingredients that can help a dog with everything from skin issues to aging. 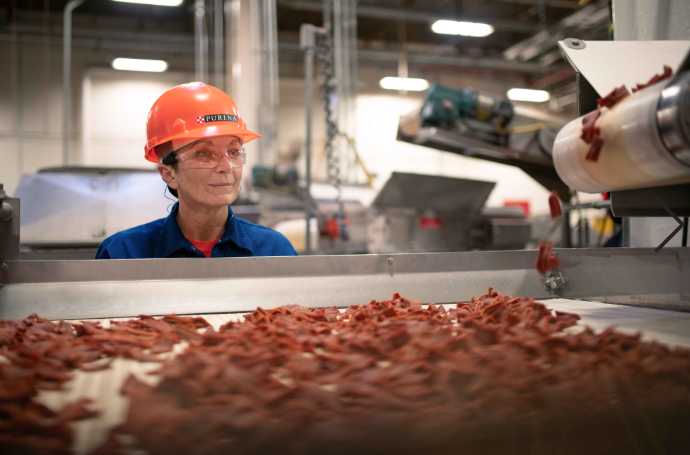 Mrs. Jackson is a leader in her field, pushing Purina and the entire industry to find ingredients that can go into our animal’s foods that will only enhance their lives. 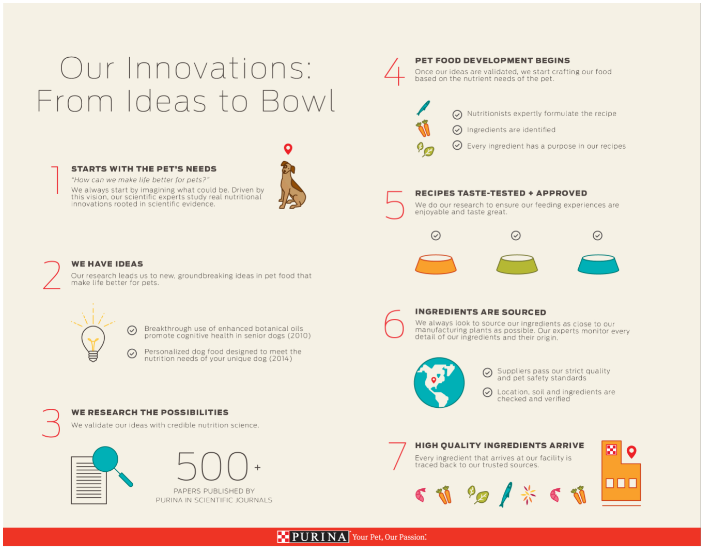 Only about half of Purina’s studies actually lead to the development of a product. But they keep striving forward. In fact, because of their intense scientific studies, products like the new Purina Pro Plan Veterinary Diets NC NeuroCare, which has been proven to help dogs who have seizures, is now available! Dr. Brian Zanghi also spoke about his scientific contributions to the development of foods for our pets. 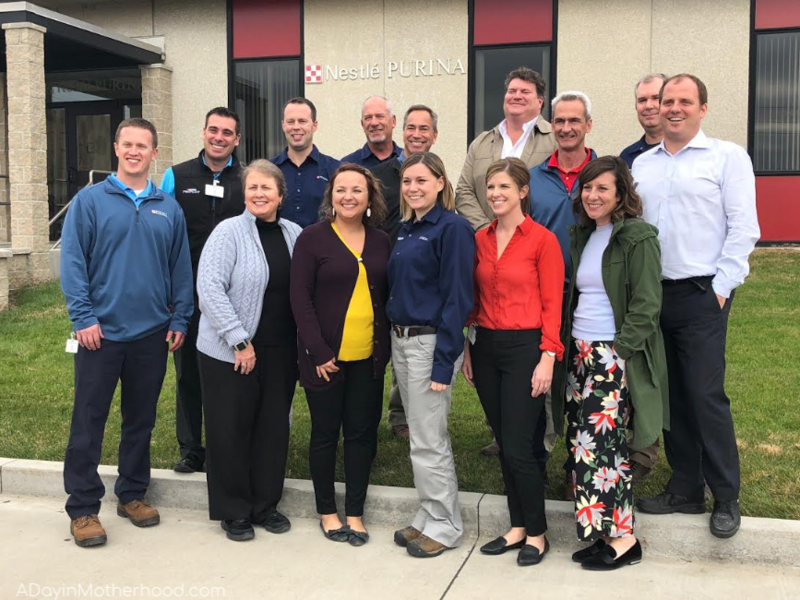 At Purina, Brian studies canine and feline nutrition in the areas of body composition, sleep, cognition, behavior and hydration in adult and older pets, as well as the role nutrition plays in optimizing performance of active dogs. I came out of the sessions feeling like Purina truly takes feeding our pets seriously. I did not feel ‘marketed’ to. Nor did I feel as though I was only being shown the ‘best’ of Purina. I felt as if I were talked to with respect and honesty. WOW! Is all I can say. This experience was transforming for me. I have been through a manufacturing plant before for human food but the fact that a dog and cat food plant could be so CLEAN, so efficient and so productive just wowed me completely. With over 8500 quality checks a day as they go – read that again… 8500 QUALITY checks a DAY – this plant runs a tight and unwavering ship. If only I ran my home 10% this well! After leaving the ingredient intake area, which I will talk on more in a moment, we walked into the treat production area. They were making Beggin’ Strips and Purina Alpo T-Bonz. Now, I don’t know if I have ever thought about how these get made but it was INSANE. You could actually see the ingredients coming though the machines, which were monitored closely by the workers. They both come through in tubes that are shaped by Purina’s proprietary machines. A custom cutter, also made and serviced in the plant, sliced the products to the perfect size. They then go through a ‘cooking’ process and then up and over to be bagged, fresh off the belts. The smell of bacon wafted through the air and all I could think was that my beagles would clean those belts in 5 minutes flat! Along the process of mixing the ingredients, creating the meal, cutting, cooking and bagging, I could see the quality checking being done regularly. 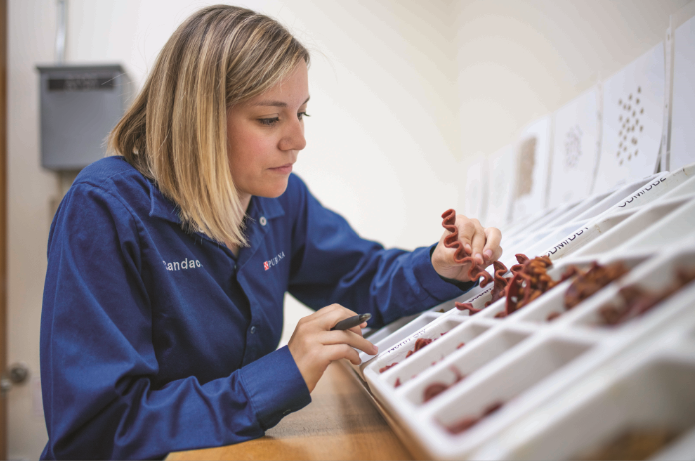 From pulling product off the line to check color, shape, size, texture – yes, they care about these things for our pets – to the woman who grabs a bag and weighs it to make sure the right amount is in the bag. 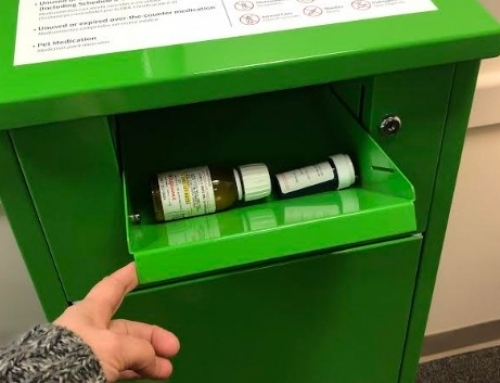 In addition, they actually pull completed bags and put them in a special ‘scientific’ tank of water to make sure no air is seeping from the packaging at all. This ensures the freshest treats you can get. I was so blown away by the fact that they make, cut, cook, bag and try to ship the products within a day or two to make sure your retailer has the freshest food and treats around! Now onto the dog food. 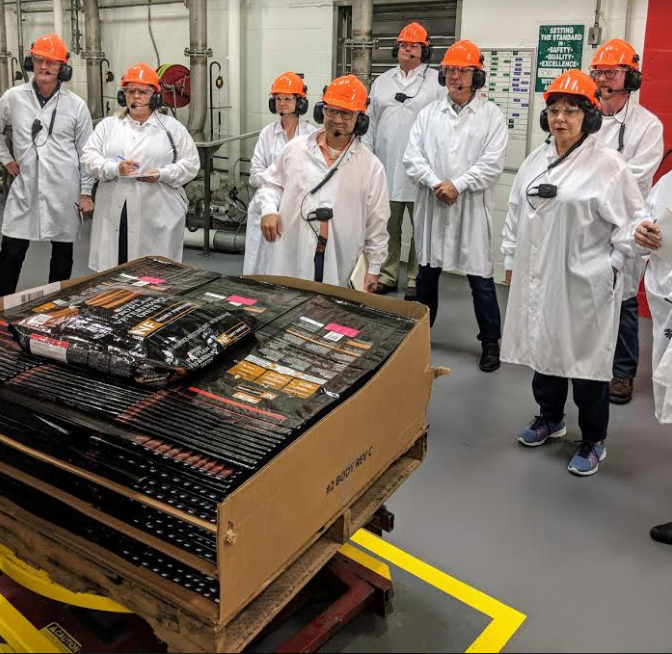 Again, I saw the process from the moment the ingredients come in from vendors, like Alaskan Leader Seafoods, to the moment the bags go to the warehouse for final inspection and shipping. 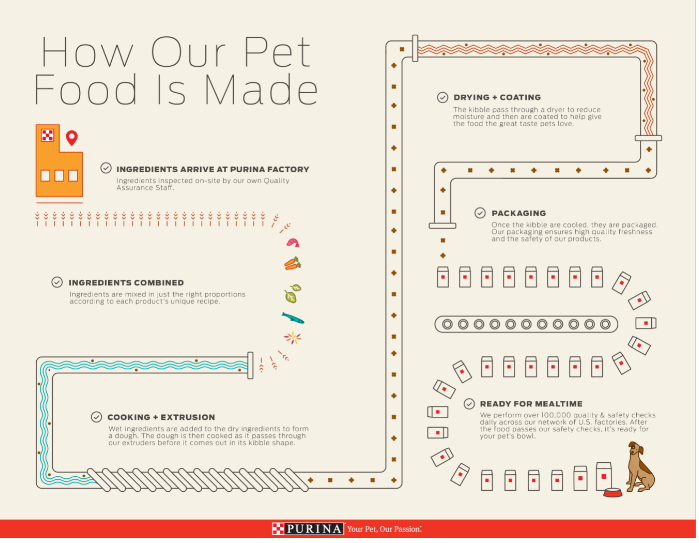 Purina has built a data base of thousands of ingredients. They work closely with vendors for the highest quality. 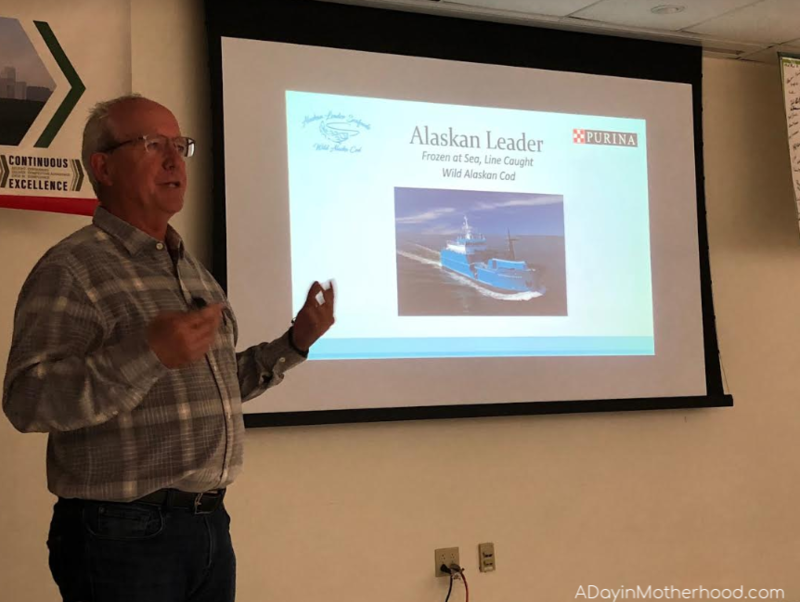 According to their seafood vendor, Keith Singleton of Alaskan Leader Seafoods, the process of becoming a vendor is detailed, long, intense and comprehensive. Purina does not buy based on price. They buy on quality. Why do I believe them? Because I heard it from the vendor’s mouth. Clearly there is a relationship of trust built. However, Purina is still determined to make sure that they put into their foods what they actually say is in the foods. 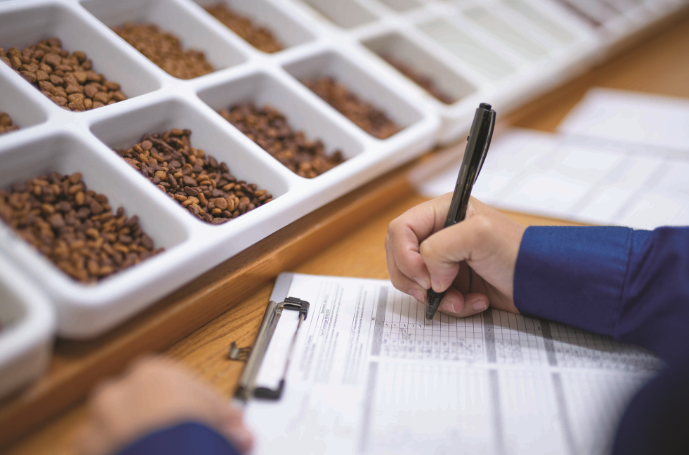 So when an ingredient comes in, a ‘probe’ is used to determine the actual contents, nutritional value and other necessary information to determine the quality. It literally looks like a huge thermometer like you would see at a doctor’s office. They insert it into the ingredient. 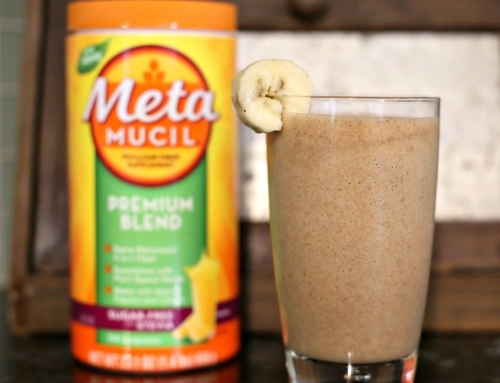 If it does not come back as the exact ingredient they need, they turn the shipment away. 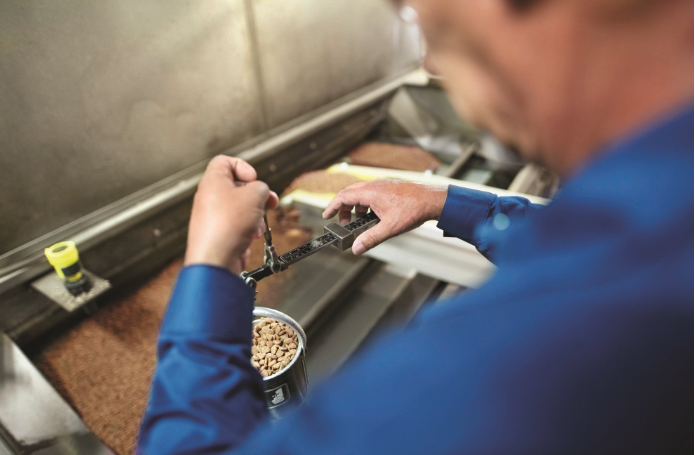 Like with the treats, quality checks are done at every single stage of production for the food. The ingredients come in, they are mixed, pushed through the machines to cut them into kibble and then baked. I mean, there is way more to it than that, as you can see below, but I simplified it. 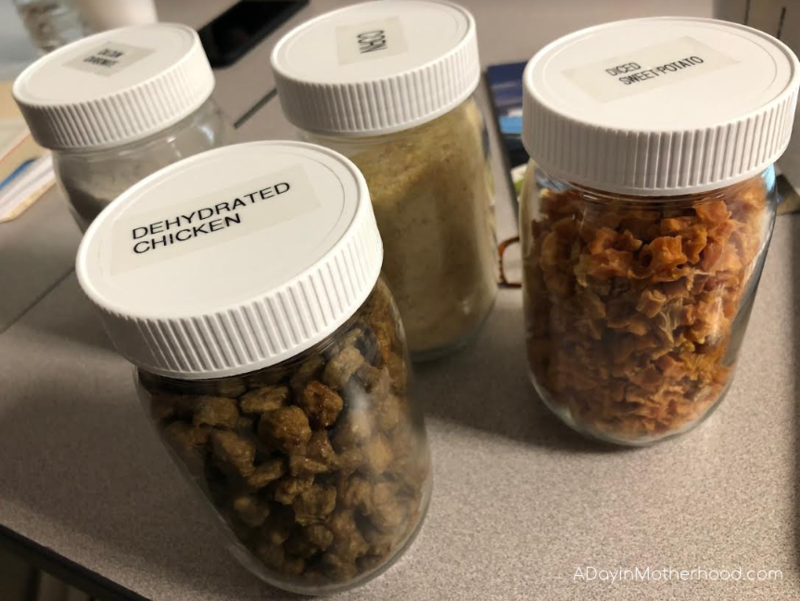 Along the way, food is removed from the belt and checked for size, shape, quality, ‘bushel weight’, (which helps determine that the right combination of ingredients are in the food), and samples are sent to the in-house quality lab. There they are examined intensely to make sure what they say is in the food is in the food and nothing else! They do this several times a day. People, including me, often look at manufacturing plants as environmental hazards. The truth is, most, is not all, are trying to create the products we need and be a friend to the environment as well. 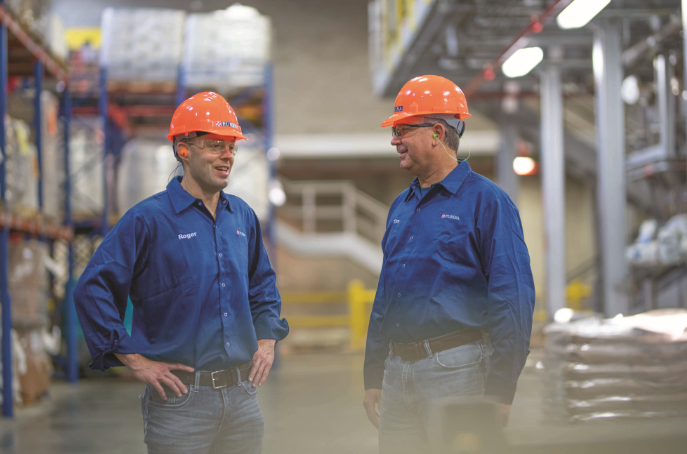 Purina prides itself in running efficient, environmentally friendly plants. They have a ‘no-land’ fill policy which means that everything they use in the plant can be recycled or redistributed back into the plant. They, literally, try to have zero trash in their plants. Recycling bins are everywhere for all kinds of products! I was very, very impressed by that information! Purina is aligned with consumer studies on many sites, including PetfoodologyPetfoodology.org through Tufts University. Pet food is one of the most highly regulated foods going into stores. The only one regulated more is baby food. Scientific studies are published to back up the ‘claim on a bag’. Only vetted material from sources they know go into their food. 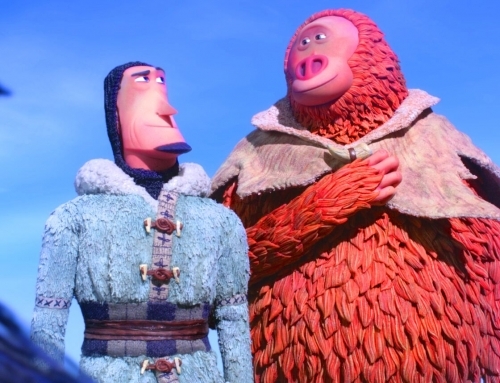 They empower ANYONE to stop the line if they don’t see something right. ANYONE. Any employee, staff or manager can stop a line cold if they see anything at all wrong in any way. In fact, employees are REWARDED for doing so. 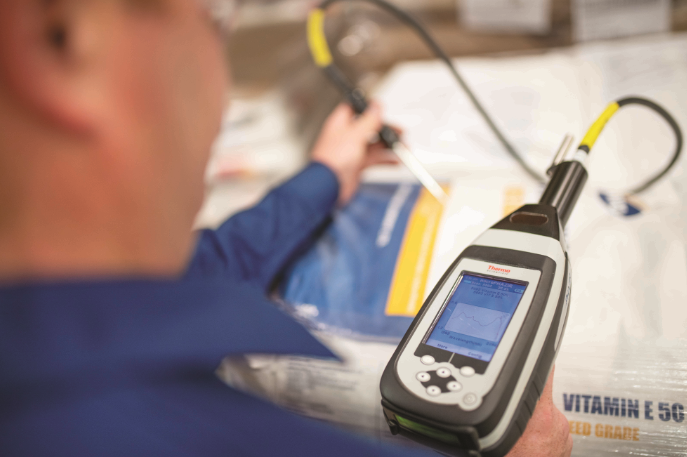 Purina’s trace-ability steps are major and comprehensive. A bar code is assigned to each product from start to shelf. If something does get through, they can track the entire process. What I feed my dog matters. What you feed your animals matter. I truly believe that Purina is using it’s resources to make sure that what we are feeding is the absolute best food possible! What do you want to know about my Dog Food Manufacturing Plant. I can answer any questions you have! 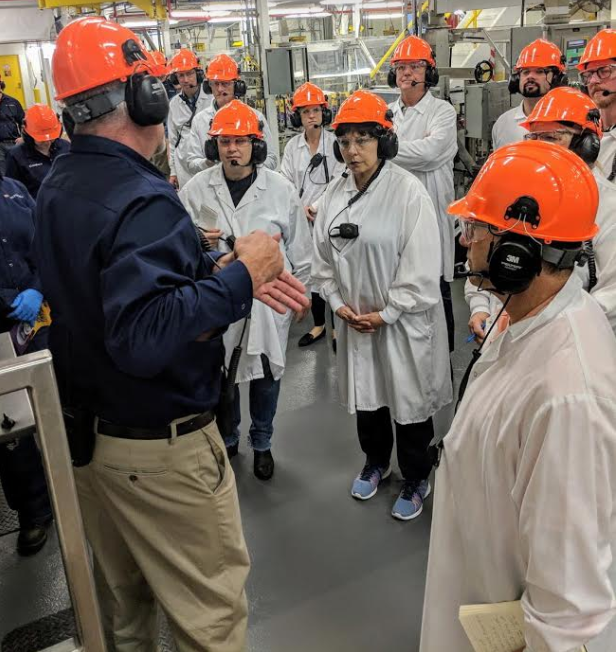 I have taken a tour through the plant and was amazed at how clean it was. You could eat off the floors. And then my daughter started working there. To see what they go through for our pets, makes me proud and very happy to be a Putin’s customer. 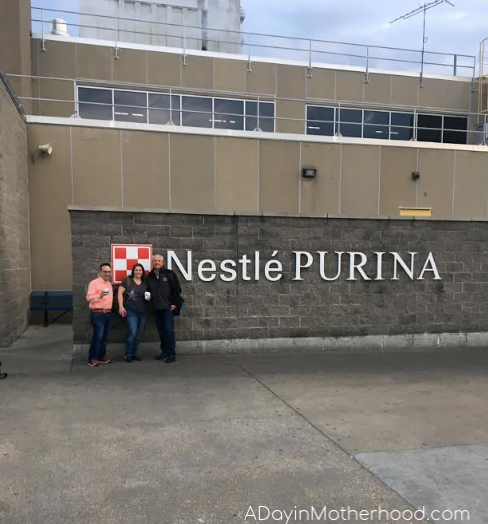 My niece works for Purina and we are proud of the work she does for them.